"The police station there is down the street from the west exit of the trainstation," Atoli said, doing her best to remember the places near the station. "If we go out the east, there's a bus stop." "Can't we just use a taeser or a stun gun or tranquilizers?" Mimiko asked. "A gun's a bit excessive for two runaways, don't you think?" She followed them to the helicoptor anyway and climbed in. L didn't respond at first, realizing how jaded he was from he current job in Japan, "I see no problems with force when necessary." The two 'fugitives' arrived at the train station, but it was too late. No busses were running, nor would they be running for a couple more hours. It was well past midnight at this point, nearly five in the morning. "So what should we do now?" she asked. "They caught up." He said in a low tone. L motioned for the others to hold their position, the boy had noticed them and he didn't want to break out the violence just yet. "Are they really?" She looked around quickly, but didn't spot anyone at all. Only a few people here for the early morning train or to pick up loved ones who had just arrived. "W-what should we do?" Suddenly, she was unsure. Mimiko nodded, but she really didn't see why they should be hiding. If they walked up and just cuffed them, things would be so much easier. L seemed to just like complicating things. L rolled his eyes at her, pointing to the weapon and motioning for them to disarm the boy before cuffing him. 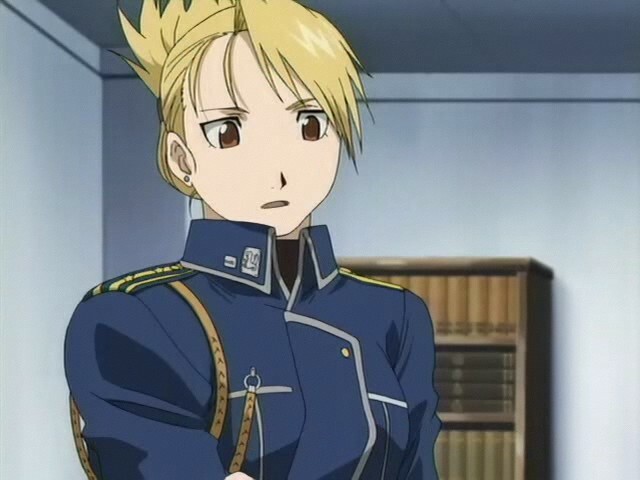 Riza stayed at the ready. "Hang on tightly." That's when he saw the large window near the ceiling of the train station. He used his rod to spin to the top of the rod and push up and off of the ground. He then smashed the window, disappearing through it. He then jumped building to building, knowing he could rest later. L chased after him to the window, "Somehow I knew he'd flee. We'll take the helicopter." Atoli let out a shriek of surprise and fear. She clung to Kilik and squeezed her eyes shut, terrified. She'd lived a very sheltered life. There was no way she could be used to this. Mimiko sighed and stood. "Yes, Sir. We should hurry after him." She had never seen such a stunt in her life. This guy had to be super-strong. "If I did that, I'd lose something precious," He said before tightening his grip on his weapon and Atoli. He jumped down, landing on the onning and bouncing off of it. He held his rod right so he pushed it against the ground and spun down on it. Then, he began to run again, before he saw a truck. A good getaway. He thought before grabbing onto the back of it, "You okay?" Atoli closed her eyes and held her head. "A little dizzy, but okay," she replied. She'd never gone that fast except on a bullet train before. She didn't even ride roller coasters. Once she felt a little better, she looked up at Kilik. "Why would they chase after us with guns?" They were a pair of runaways, not criminals. L sighed, "I feel like no one is listening to me. He is similar to a dog with toy, to get to the dog you need to stop chasing it, because it assumes you're playing a game, when it feels safe it will drop the toy and then we can pounce." "I don't think this is a game for him, though," Mimiko pointed out. "I think he's really planning to never come home. Nothing against his parents, but they didn't seem to understand anything about him." L frowned, "As long as they don't abuse him, we have no right to judge their parenting methods." "What do you suggest we do, Sir?" "Because I myself have a weapon. They feel slightly threatened by that factor." "I know people use poles in martial arts, but a pole's no match for a gun," Atoli pointed out. "That's a little bit of overkill, don't you think?" She then looked around to get an idea for where they were. "So what should we do now? They're hot on our heels." L smiled, "Change your bullets to tranquilizers, we will pursue him from the air, Watari has a sniper rifle." Mimiko shuddered, but changed the bullets to rubber instead of regular bullets. Her hand gun couldn't take tranquilizer darts, after all. Rubber would be enough to stun him temporarily, though. "Instead of five hundred miligrams, make sure it's two hundred miligrams. His weight isn't enough for the five hundred one, and we could overdose him by mistake. His parents wouldn't like that." "That's because my weapon, the Kali-Yuga, has been blessed by the power of the Gods. Meaning, it does much more then you think. I would never use it to hurt someone, but I'm sure as police they can never be too sure." "Gods?" Atoli repeated curiously. "I'm afraid I'm not really religious. I mean, I do the Shinto and Buddhist observances like most people in Japan, but I don't go out of my way." "I'm going to use my rubber bullets," Mimiko replied. "They'll stun him at the worst. Besides, I'm not a gunman. I can only use my hand gun and that's not set up for tranquilizor rounds." L nodded, "That's fine, Watari could hit a pin from miles away." "He seems to be a very strong person. I'm glad then that he is on our side. In the meantime, I think it might be in our best interest to stop pursuing Kilik for now. Perhaps we should try to figure out where he's headed, and cut him off from his destination, rather then chasing him. It could prove to be a much better stragedy." She suggested. "It doesn't really matter, what someone believes. As long as that person themselves thinks they are doing the right thing, that's all that matters, even if it's wrong," He responded, "even if it causes evil, there's always someone good to halt the evil from spreading. But, that's clearly my opinion." L frowned, "Perhaps, we would need to map out his movements."